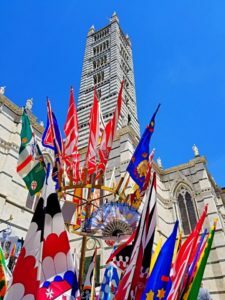 Siena is world renowned for a breathtaking horse race called Palio that takes place in its central square and that originated in the middle ages. The medieval setting in town is today perfectly preserved and the whole town center is listed in the Unesco world heritage. 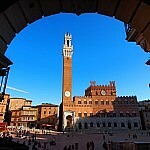 Visiting Siena requires a detailled introduction by a licensed local guide. 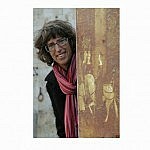 Arianna & Friends arranges guided walking tours with the most professional and skilled city guide in town. 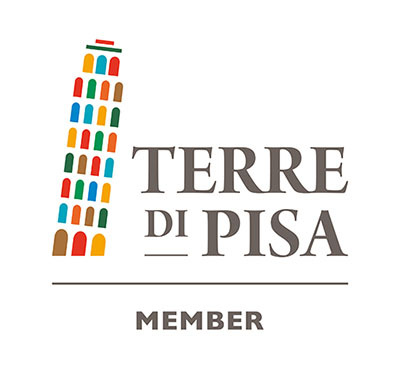 We personalize the route in town according to the main interests of the visitors’ party, making sure that the walk does not miss any main attraction in town. Our guide will let you understand the unique spirit that joins the town with its inhabitants and why their traditions are still so strongly rooted in the people. 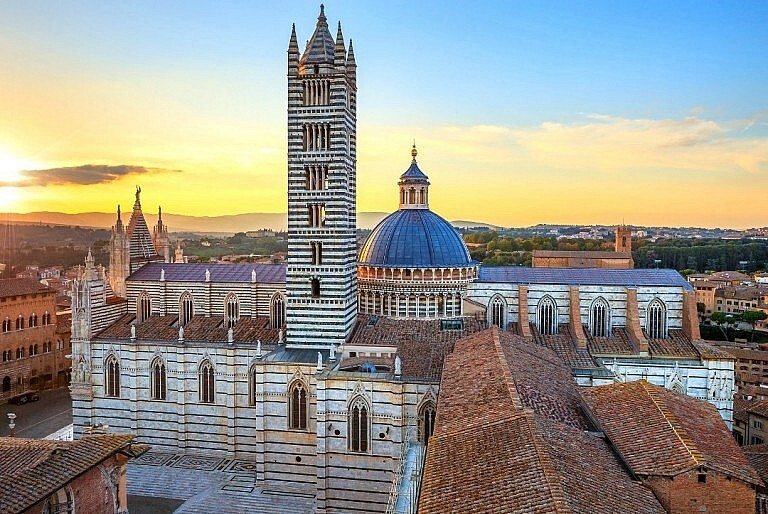 We can facilitate the purchase of access tickets to the Duomo and the astonishing terrace Porta del Cielo as well as to any monument or museum in Siena. Our talented guide will be super-happy to customize your route according to your interests. 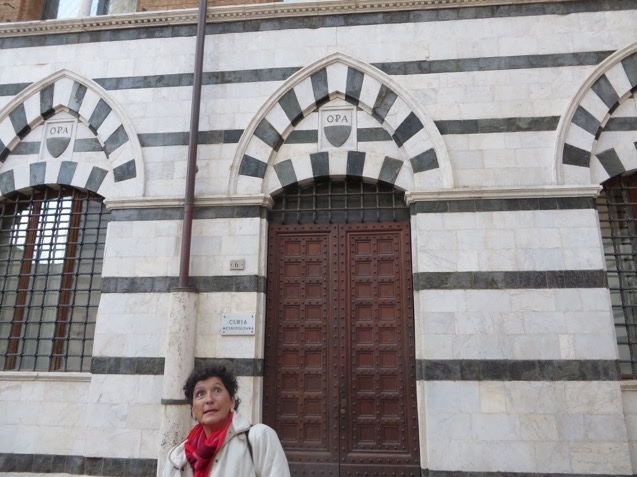 Isabelle is the most knowledgeable and experienced guide for Siena and San Gimignano. 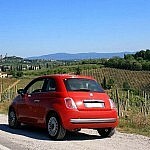 She is of French origins but she settled in Tuscany many years ago. 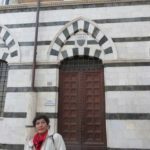 Her anectodes and stories about the Tuscan middle ages are some of the most interesting facts of the local history. The total rate for this activity does not vary according to the number of people in your party. 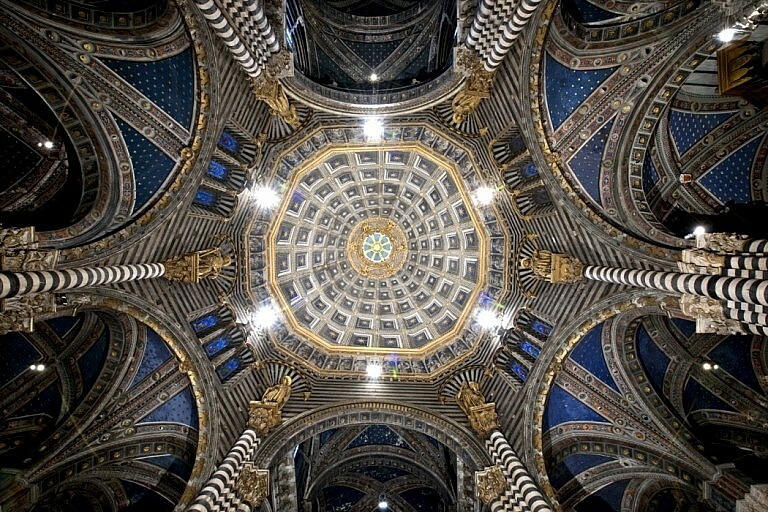 Access to the cathedral costs 5 to 8 Euro per person according to the season. Cheryl and I are now home with fond memories of our time in Tuscany this year. We are very thankful to Arianna and Friends for many fun days. We have not stopped talking about our wonderful day in Tuscany. Sylvia was a delight! 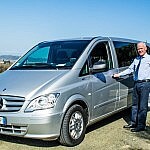 We will definitely use your services again and will be sure to pass your information on to any friends that are travelling to Italy. We are now back in the U.S. Tired but so happy with our trip. You are certainly welcome to use anything I have said on your website. I immediately gave you a glowing review on TripAdvisor as well! 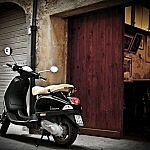 I have talked and talked about the wonderful time we had in Tuscany. My husband and I have celebrated our 10, 15, 20, and now 25 year anniversaries in Italy and we’ve been fortunate enough to take two additional trips to Italy as well. Just last night he said he is not waiting another 5 years to go back. 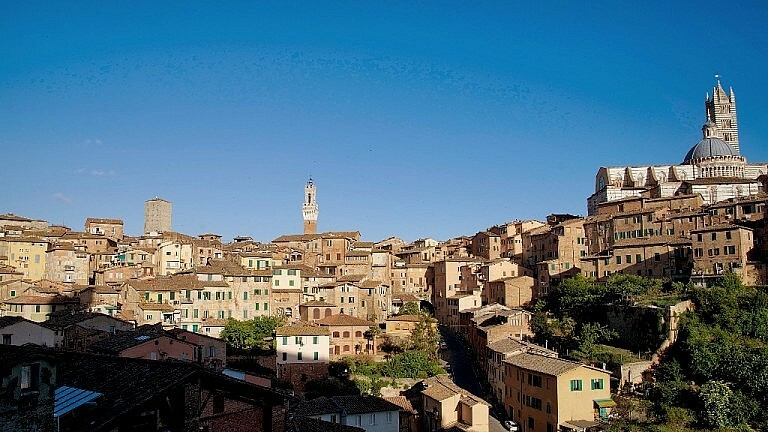 We want to come back and have Sylvia take on a tour south of Siena! You will be one of my first contacts when we plan our next trip!!! I’ll be sure to post something on Facebook very soon. 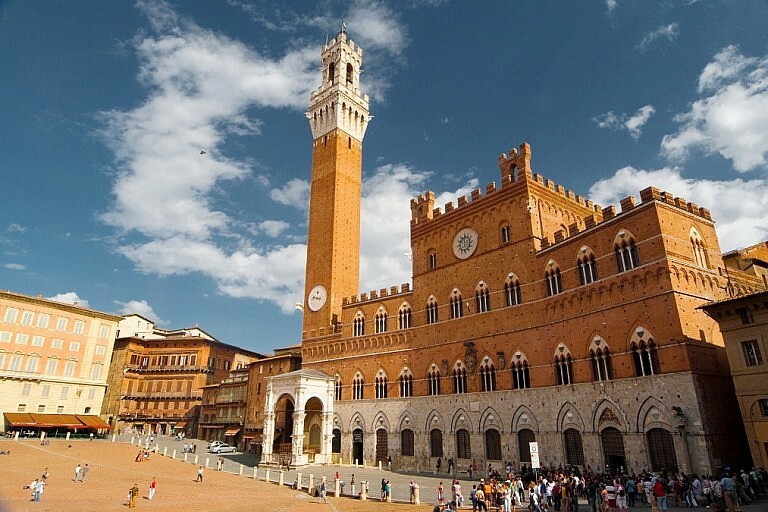 This walking tour takes place in the city of Siena. 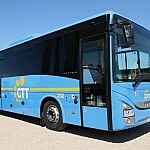 The meeting point can be reached by public transport. 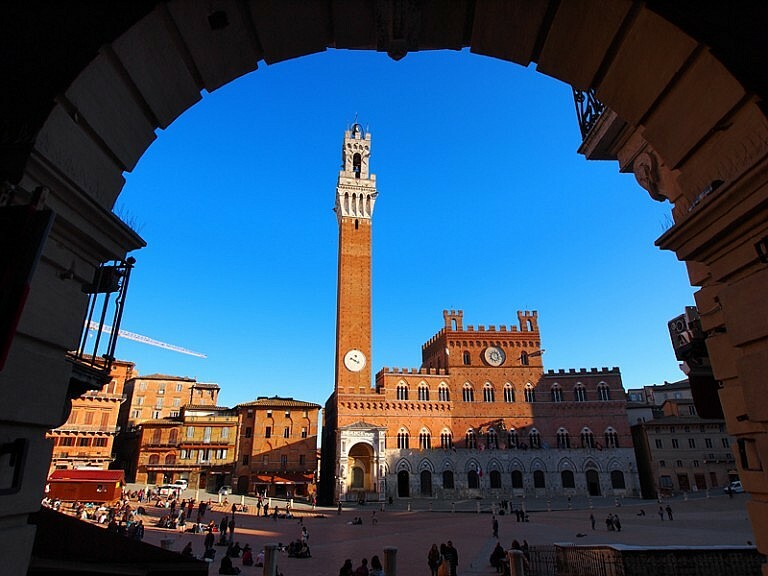 Unless differently specified, the meeting point with the guide is in Siena downtown. Detailled instructions will be provided. This tour is available in English or Italian with no surcharge. 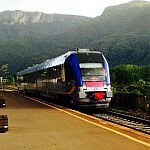 For German, French, Russian or Spanish a surcharge applies. 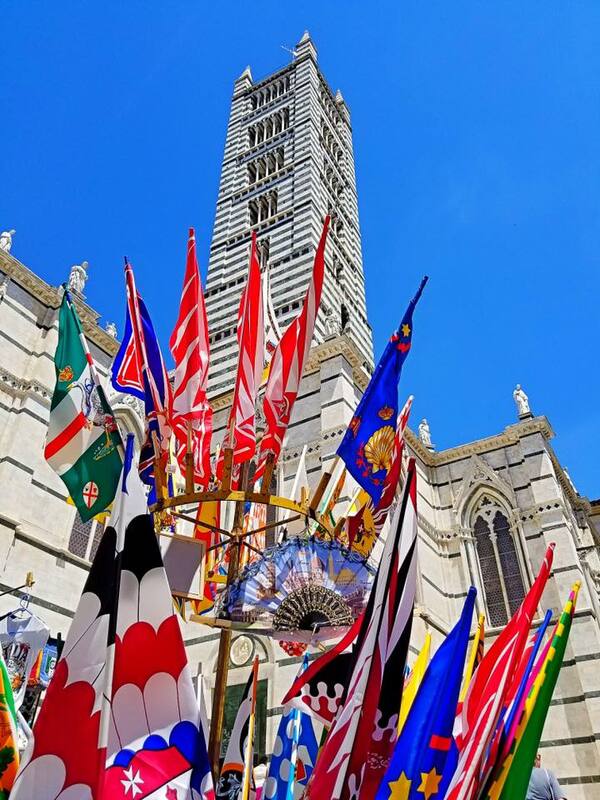 Get driven by the fascination of Siena in our private guided walking tours of the town of the Palio. Stories on its traditions and on its increbibly rooted participation to the life of contradas by the population will accompany you during the visit.